Moving air is called wind. But why does air move? What makes it go so fast? 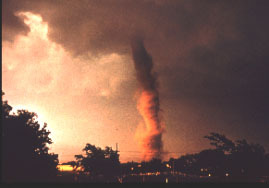 and why it becomes a tornado? Although invisible, we can often feel the air movements or wind. When we make a building we make it strong enough to stand in high winds. This project is one step towards understanding conditions that cause air movement and learning how we can benefit from this conditions. Design and make devices to show the movements of the air. Then design experiments to create conditions that may cause movement of the air. Record your observation, draw a conclusion and use the same devices and experiments as your display. You may make a hot air balloon as a part of this project.